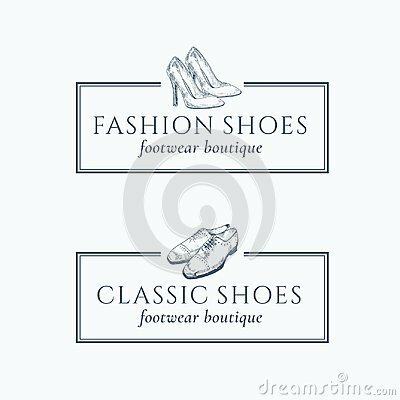 Classic Fashion Shoes Footwear Boutique Abstract Vector Signs, Symbols or Logo Templates Set. Hand Made Classic Shoes Illustration with Retro Typography and Classy Borders. Isolated.